Your space to chat with other pet owners about everything pet health. Join our online pet community for instant access to a wealth of pet care topics, advice, and real-life experiences. 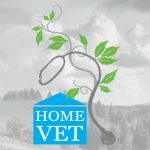 Feel free to browse our wide range of posts in pet training, diet and nutrition, vaccination issue, homeopathic treatments and more. Or click on Create an account to register and join in the chat, or make a post yourself. Unlike other pet forums, we don't divide the forum into a Dog Forum and a Cat Forum, Instead, just choose the folder that covers your area of interest (e.g. New Pets and Training) and you'll find fascinating and informative posts about training cats, dogs, puppies and kittens. Dr Jeff is very active in this forum, and if you post, he'll often be one of the replies you'll see. However, if your pet has an urgent problem, you should consult your own vet as soon as possible and not wait for an online reply. See our page on new clients to join Dr Jeff's personal veterinary practice for non-urgent inquiries.